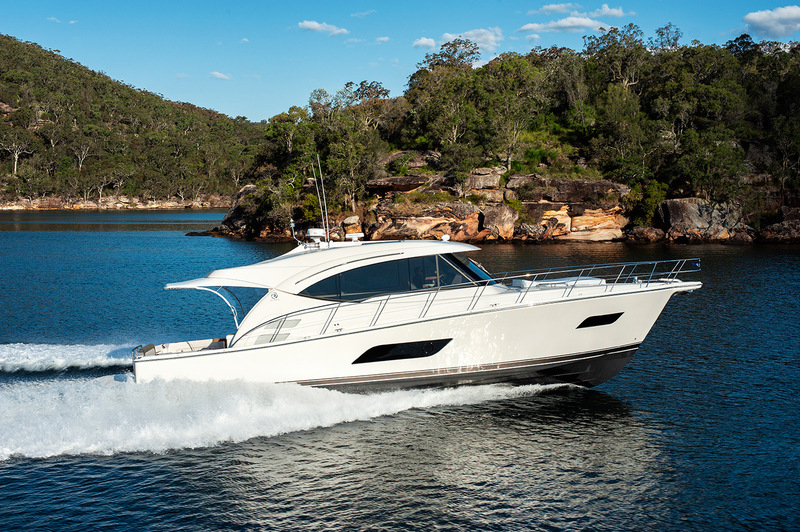 Riviera Yachts is the largest and most awarded luxury yacht builder in Australia and a leader in the global marine industry. 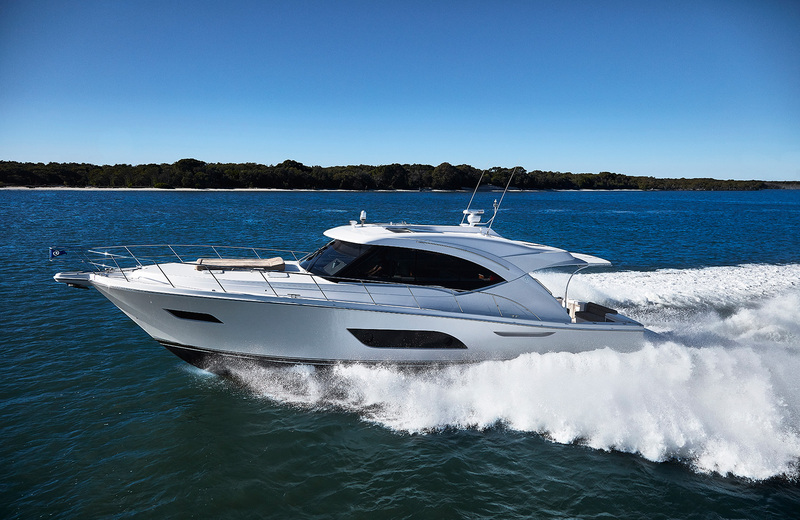 Riviera’s renowned Flybridge collection is the evolution of a rich 36-year heritage building world-class luxury motor yachts that are widely considered as being amongst the best in the world. 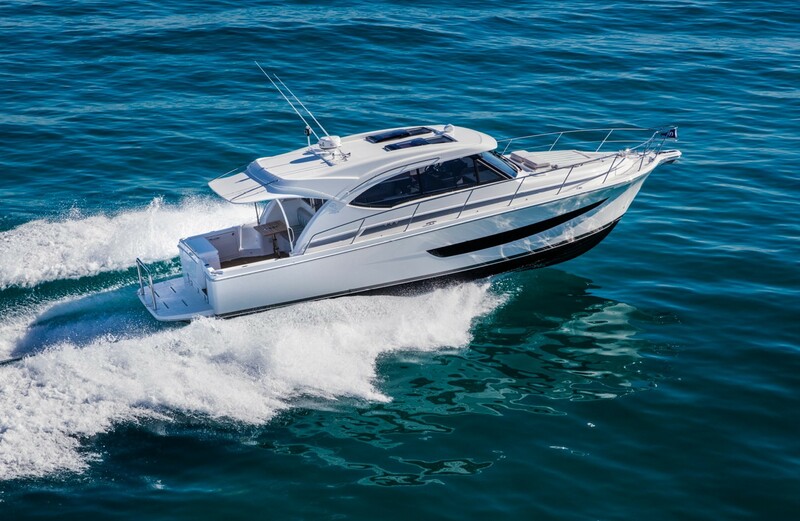 Vital to the growing global affection for Riviera's true blue-water classic Flybridge models is the evolution of use and design. 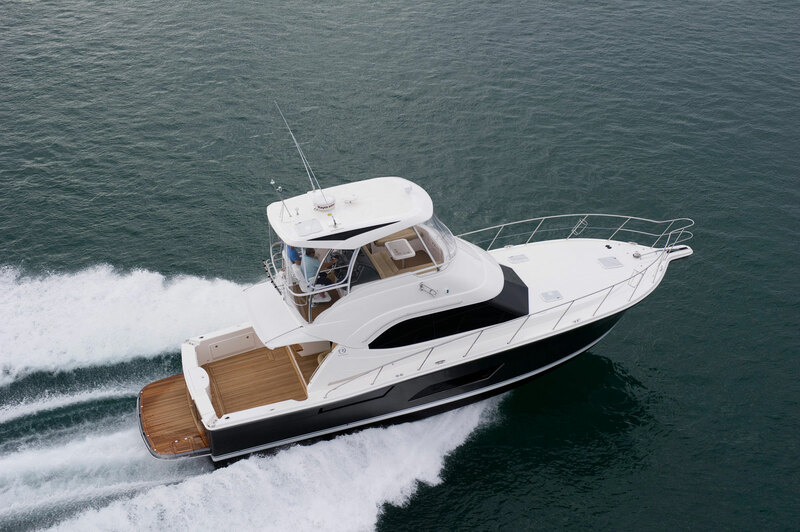 In addition to being a fully functional and supremely stable fishing platform, a luxury motor yacht must be able to also be the consummate entertaining vessel, the ultimate passage-maker, the total family getaway … even the perfect home away from home where owners can enjoy extended living aboard without pining for any shore-side comforts. 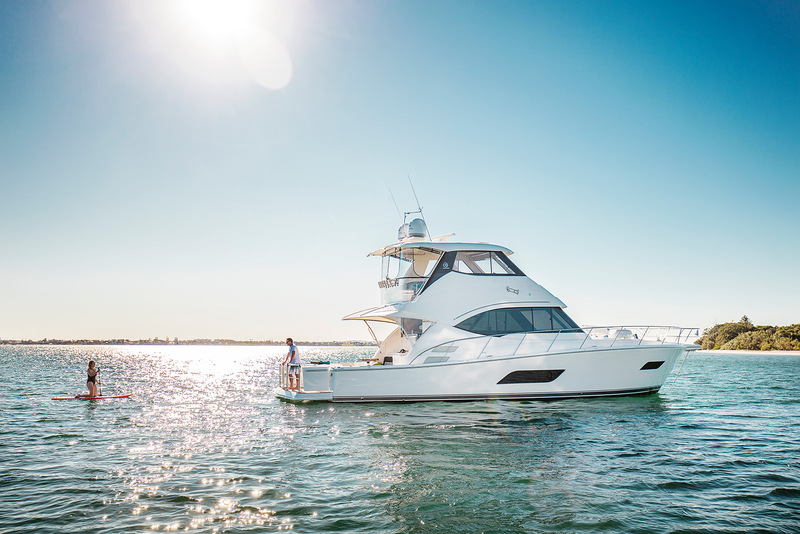 Featuring models ranging from 43 to 77 feet in length in both Open and Enclosed Flybridge designs, the bluewater Riviera Flybridge collection combines superior sea-keeping capabilities with clever and convenient alfresco lifestyle designs, ultramodern technology and luxurious appointments, and reflects our passion for putting more pleasure into your pleasure boating. 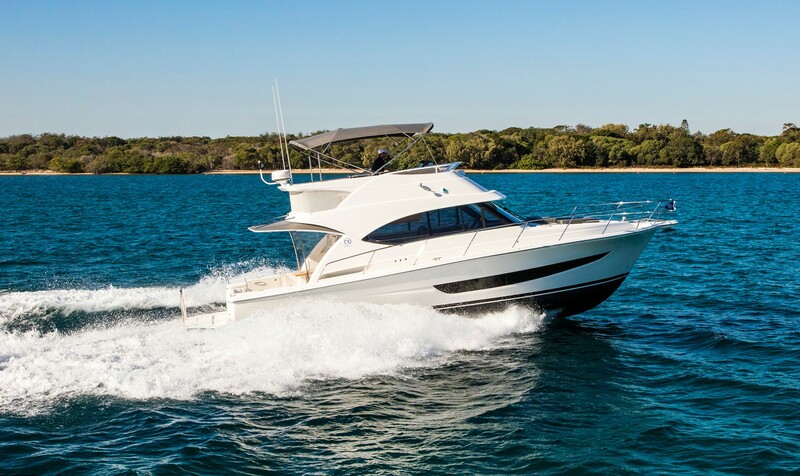 SYS Yacht Sales offers new Riviera Flybridge yachts for sale. Click image thumbnails to learn more about each model. The Sports Motor Yacht collection – comprising two individual models: the 68 and 72 designs – will help luxury motor yacht owners fulfill these dreams, offering the exhilaration of supreme sports performance as well as ingenious interior flexibility with an array of luxury lifestyle features to enhance precious time aboard. 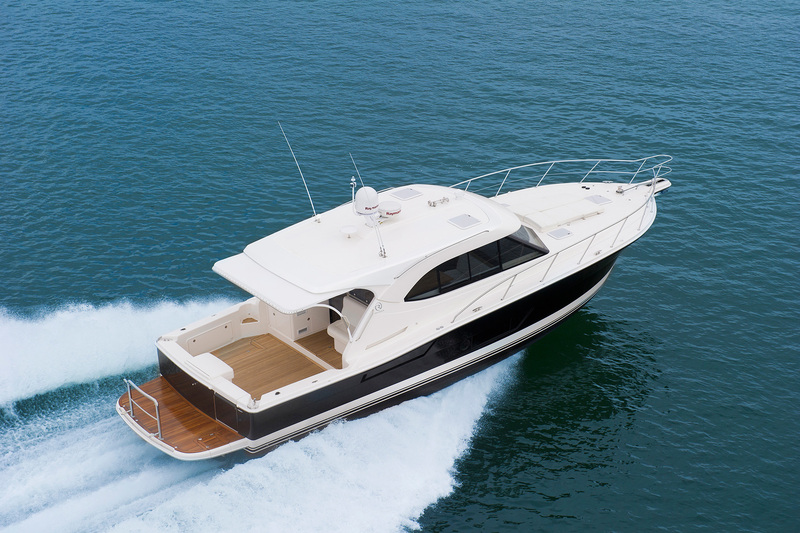 Whilst the specification varies considerably between the 68 and 72 models, the significant design difference is the additional space in the cockpit and mezzanine of the 72 Sports Motor Yacht. 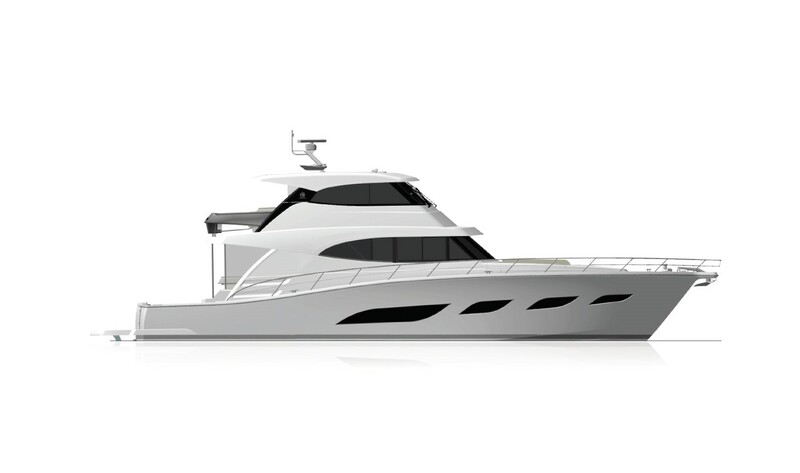 The enthusiasm as we showcase her design confirms that this inspiring new design reflects the extensive ‘wish lists’ of many serious yacht owners. 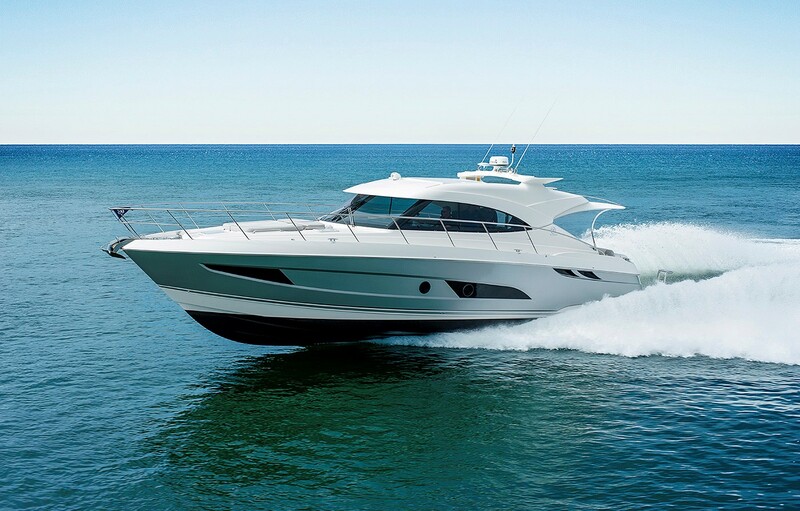 SYS Yacht Sales offers new Riviera Sports Motor yachts for sale. Click image thumbnails to learn more about each model. There is another world that exists just out of sight from the one we inhabit daily. It is a world of wonder and luxury, friends and family, renewal, memories and joy. Here the skies have no limit and possibility knows no bounds.You can find this blessed place over the skyline but before you set out, be warned: entry is for the select few. 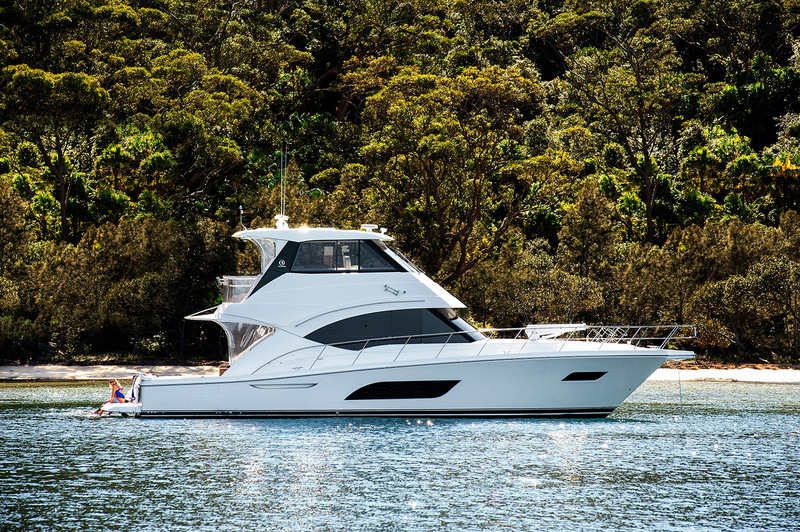 We call this shangri-la of the senses the ‘World of Riviera’, and any one of the gleaming new luxury motor yachts from the Riviera Sport Collection, the 6000, 5400, new 4800, or the 3600, can spirit you there, anytime you desire. When the urge strikes, you will be travelling in enviable style. Classic distinctive lines, big wide welcoming spaces, painstaking quality and attention to detail, breathtaking modern technology, outstanding performance, structural excellence and true blue-water ability; your every need as a skipper, passenger or richly entertained guest, somehow anticipated in advance. You truly are in a class of your own. 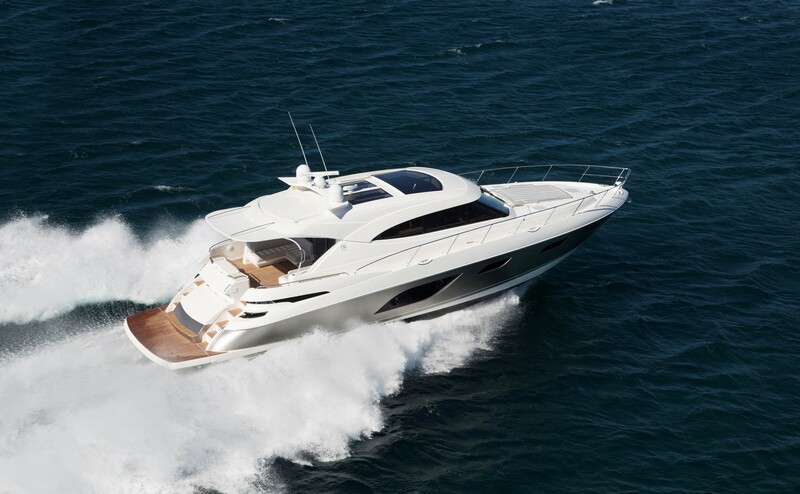 SYS Yacht Sales offers new Riviera Sport Yachts for sale. Click image thumbnails to learn more about each model. 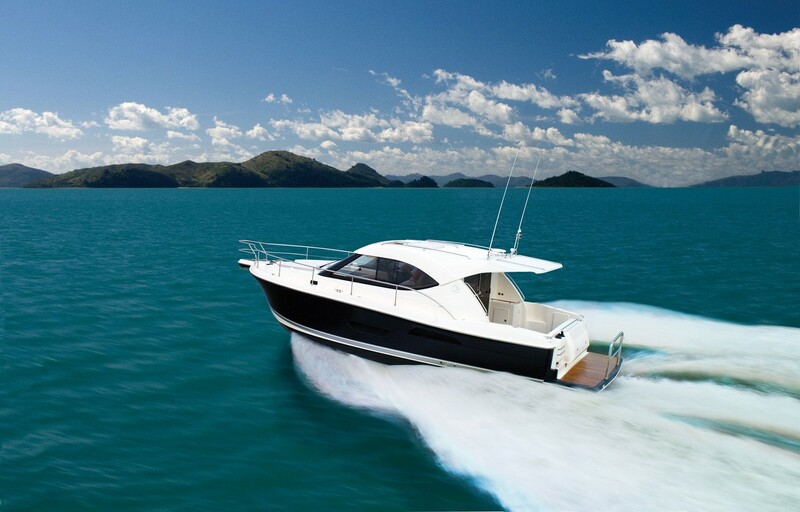 The Riviera SUV Collection, the 445 SUV, 525 SUV and 575 SUV, are a perfect meld of the offshore blue water performance and wide open cockpit of the classic Riviera Flybridge collection, and the famous single level, alfresco entertaining style of the award winning Riviera Sport Yachts. 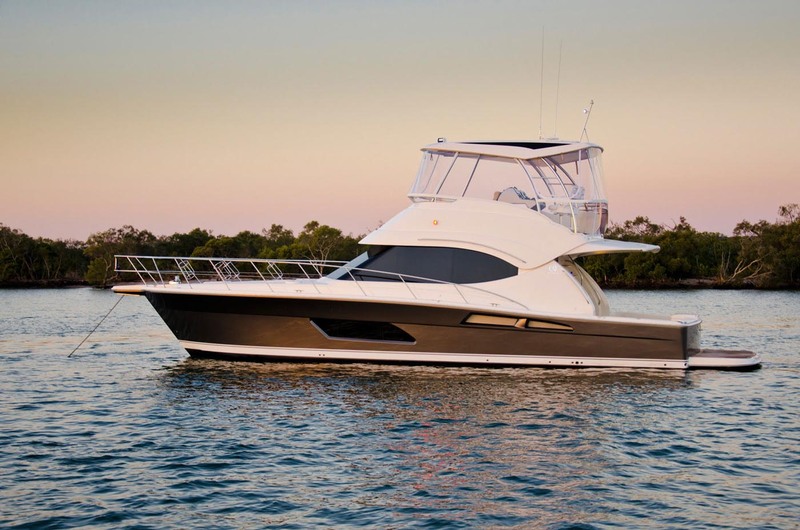 In other words, you are at the helm of two fabulous motor yachts in one…with twice as many excuses to turn your life into one thrilling new adventure after another. 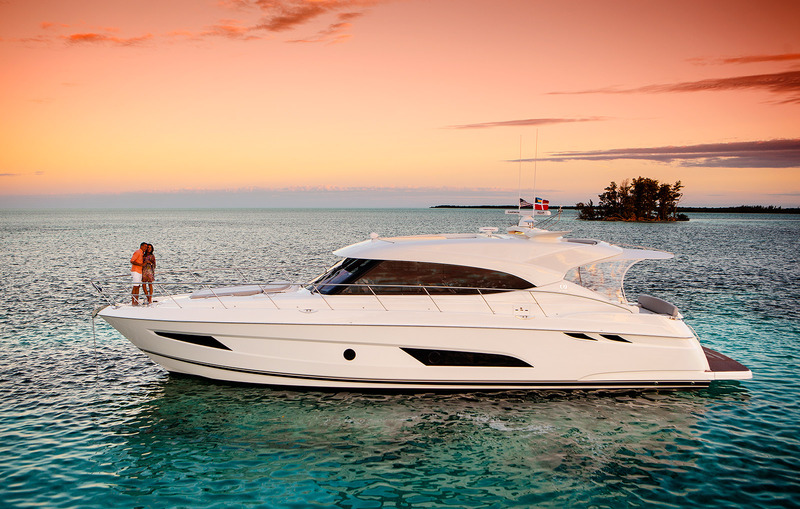 SYS Yacht Sales offers new Riviera SUV Yachts for sale. Click image thumbnails to learn more about each model.